Despite our numerous world class beaches, it is the beautiful city of Baguio that has been hailed as the Summer Capital of the Philippines. With it's colder weather and fresh air, it comes to no surprise that people flock to the city of Pines for a relaxing break. Because Baguio has been a Pinoy vacation favorite for decades, the itinerary is usually the same.. Horseback Riding at Wright Park, searching for finds at the Ukay Ukay, Buying delectable treats at Good Shepherd, Biking around Burnham Park, among many others seem to be the staples, and no matter how many times you've gone to Baguio, no trip is complete without it. With so much things to do at Baguio, coming up with an itinerary shouldn't be a problem. In fact, your biggest obstacle would probably be finding the time to fit everything you'd want to do it your given time frame. When planning your vacation, I highly recommend choosing a hotel at the heart of the city. A place strategically located so that it wouldn't be too difficult to get to the city's top tourist attractions. A place where, even for just a few days, you'll feel right at home. 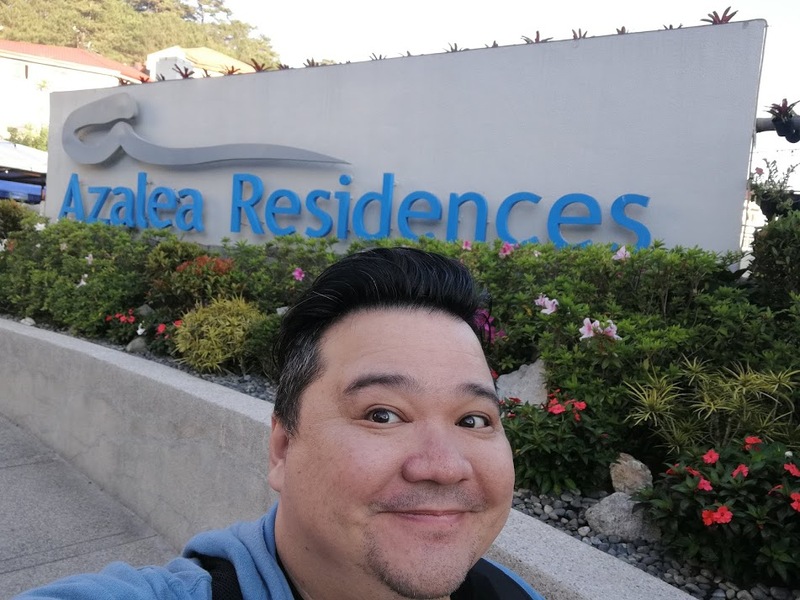 One place truly does exist in the city of Baguio, and I'm excited to tell you all about my wonderful experience at Azalea Residences.. Your Holiday Haven! I still rememeber when I was a kid, how it would take us 8 or more hours just to get to Baguio.. My how things have changed! With SCTEX and TPLEX now serviceable, Baguio has never been more accessible. We left Manila roughly around 1am, and arrived at Baguio by 5:30 am! Nestled right at the very accessible Leonard Wood Loop is Azalea Residences, the Baguio property of the growing Azalea name, which also includes impressive properties in Boracay and Mandaluyong. As you'll see in my Vlog, the rooms are beautiful, and perfect for families or a large group of friends! You have access to your own kitchen, giving you the liberty of preparing your own food. If you prefer to dine out, then you need not look any further than Azalea's flagship restaurant, Tradisyon, which offers different themes nightly, making it feel like you're eating at a new restaurant every night. Easily one of the most underrated restaurants in Baguio! Thank you Boss Adrian, Brother Paul, and Idol Jeman for a wonderful weekend! Azalea Residences Baguio is definitely one of the best places to stay when visiting the Summer Capital of the Philippines! Please stay tuned for my upcoming blog posts on the places we went to at Baguio! !